Both of the removable dispensers dangle off the antler's palm, creating a unique, whimsical design. 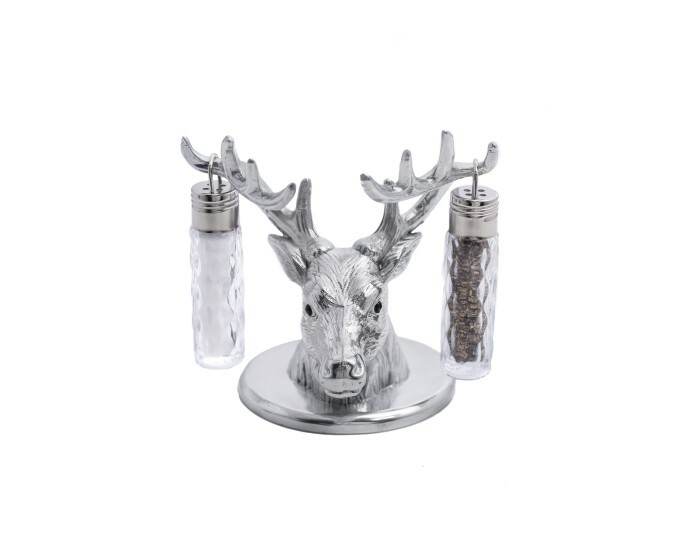 The handmade, aluminum elk head mounts on top of a circular base to complte the festive support. Size: Length: 3.5" / Width: 3.5" / Height: 4.5"